Pressure washers have improved by leaps and bounds when it comes to quality and pricing. Aside from the affordable price and quality, the options in the market have also increased. So, when you are planning to buy equipment for pressure washing in Colorado Springs, educate yourself about the available offers before making a final decision. This is how you can ensure that you get great value for your money. Experts suggest that you consider two main factors when buying a pressure washer. The first one is the size. How big or small the equipment is will determine how long it takes to complete a job. When determining the right size to use, you must also consider the space that requires cleaning. The second consideration is the life expectancy. This will determine the value of the investment made in the equipment. It is equivalent to every dollar spent for how long the machine was used throughout its lifetime. Know the ratings on pressure washers. When shopping around, you will notice that there are ratings designated for each type or model. The HP rating determines the pressure and volume the equipment can produce. The PSI rating refers to the cleaning force of the machine. Lastly, the GPM rating refers to the volume of water it can pump in a minute. The type of pump is also an important consideration. The pumps will differ depending on whether you buy residential or commercial pressure washing in Colorado Springs. Make sure you choose the right type for your needs. Before you buy a product, ask where you can purchase replacement parts (if needed). This is a practical consideration to make because you must anticipate repairs in the future. Your ability to access parts for replacement is going to make it easier to repair the machine. If you can fix the equipment, you also increase its life expectancy. If there are no accessible replacement parts, you could end up throwing away your old pressure washer to replace it with a new one. Make sure to check which accessories are included when you make your purchase. There are different accessories needed such as the hose, wands and tips, gutter cleaners, and more. The more accessories are included, the more use you can get out of the pressure washing system. 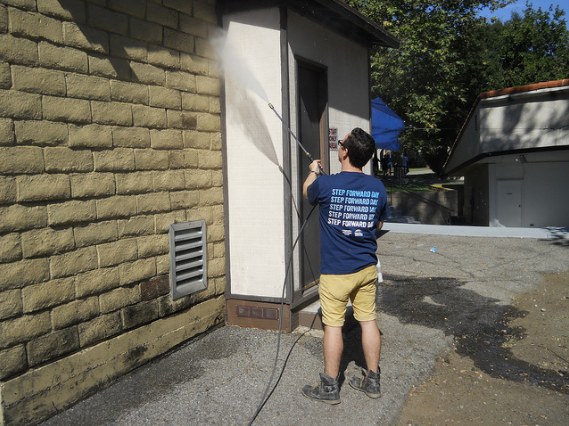 There is only one name you can trust when it comes to pressure washers in Colorado Springs: PSI Systems Inc. Since 1985, we have been known as the go-to destination for residential or commercial pressure washers. We have experts who can assist you in choosing the right product for your needs. Contact us today to learn more. We also accept pressure washer trade-in in Colorado. You can check out the brands that we have on offer!